This top quality combo features a softly constructed linen blend toddler newsboy cap for that vintage look. 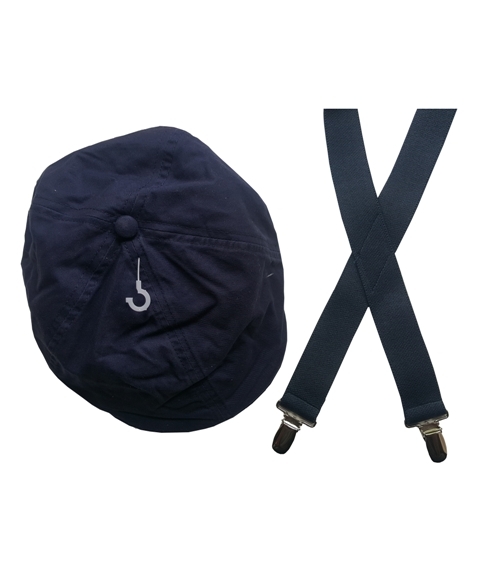 The cap is paired with US made navy suspenders. The suspenders are quality 1 inch wide elastic with sturdy adjustable clasps. The length is 25 inches for ages 1 - 4 years.